Do you want to create your own package of breeding stock? Since every breeder has their own goals in mind when selecting breeding stock we will leave the combinations up to you. Whether you want black, gray or light huacayas, we have something to fit your program. Purchase 2 females or breeding quality males, and we'll guarantee at least 10% off the list price. Purchase 3 or more and the discount goes to 20%. 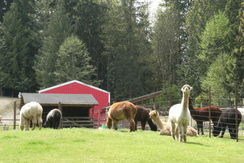 After your initial package purchase you have up to 18 months to purchase additional alpacas at a package discount. Purchases of 4 or more breeding alpacas will qualify for additional incentives that could include up to 3 months of complimentary agistment, the lease of a breeding male for a select period of time, or additional drive by breedings for the females purchased. Multiple purchase offer does not include already discounted package deals or auction listings. Multiple purchase discounts on breeding stock only, no multiple purchase discounts on non-breeders. 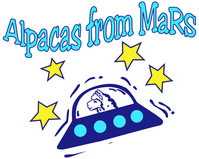 Clients enjoy ongoing support and a 15% discount on all future breedings to service sires solely owned by Alpacas from MaRS.